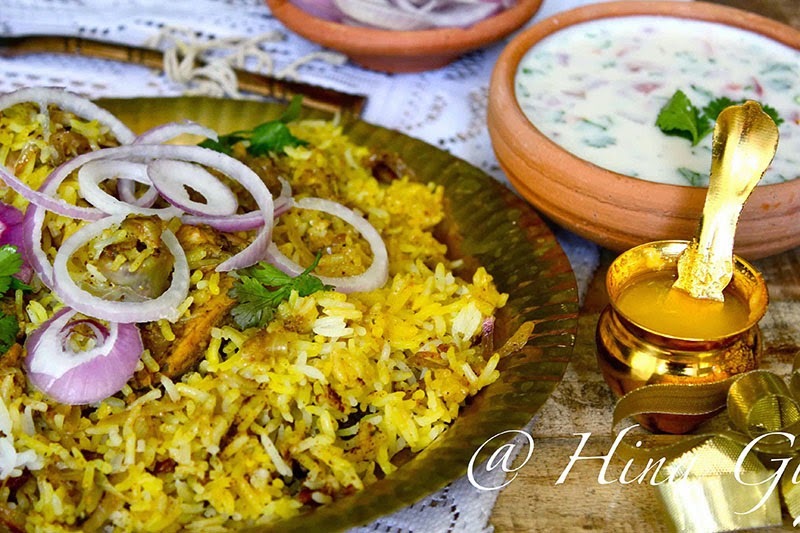 Mint Chicken Biryani is a variant of Kachhi Biryani with a freshness of mint and coriander to it, enriched with flavours of whole spices, marinated chicken and green chutney, this Biryani is a medley of different tastes. Over the years I have learnt Biryani making is an art itself and sheer test of one’s patience and skills in the kitchen, after trying out different recipes from cookbooks, internet, blogs I could not get one foolproof recipe which will satiate my taste buds, though during all these Biryani trials “he” thoroughly enjoyed each one of them. 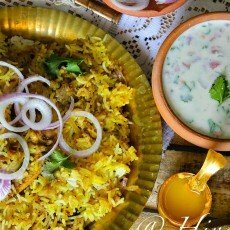 One day while I was travelling with my friend we started discussing Biryani and she shared with me the same story how she also tried different Biryani recipes over the years before she finally zeroed down to one tried and tested recipe. 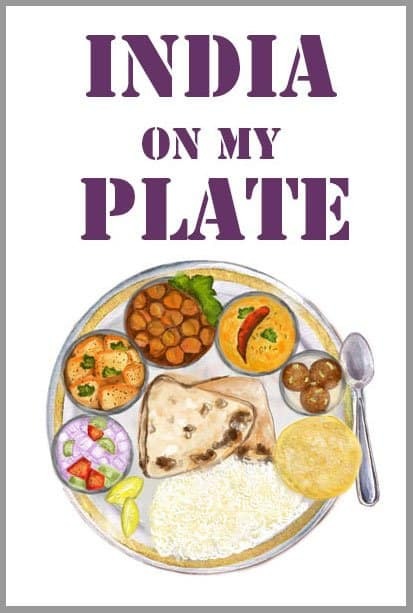 While we were away from our destination she started dictating recipe details to me, I searched my bad for a piece of paper but as usual, had none, so scribbled down the recipe on a tissue paper. 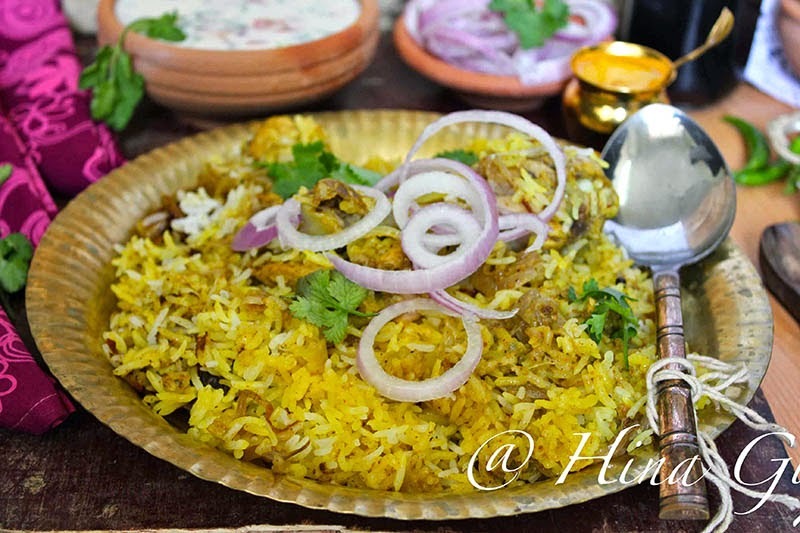 Once I got back home first I tried next day was Mint Chicken Biryani and yes I could up-to some extent I was satisfied with the end result, I think with further improvisations in the recipe this could be my Biryani recipe. 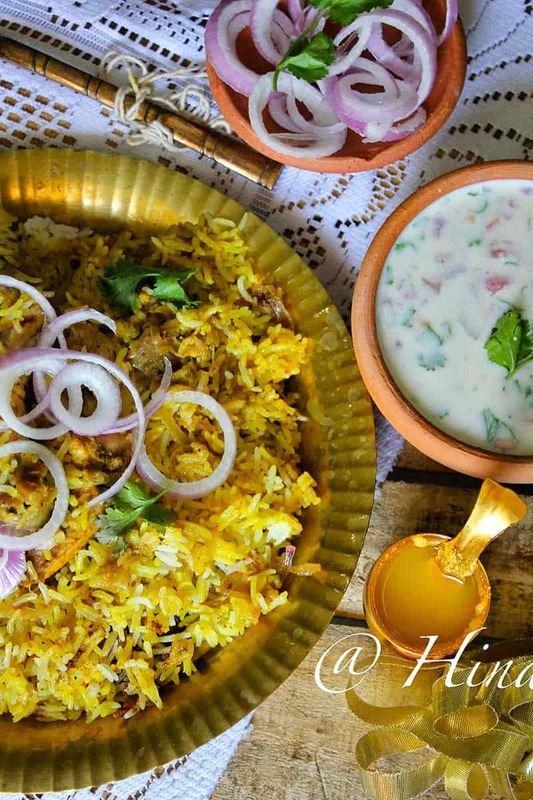 Mint Chicken Biryani is a variant of Kachhi Biryani with a freshness of mint and coriander to it, enriched with flavors of whole spices, marinated chicken and green chutney, this Biryani is a medley of different tastes. Clean, wash and dry chicken. With fork prick chicken for the marinade to penetrate into the chicken layers. Mix all the ingredients mentioned under the marinade and smear over the chicken pieces. Leave marinated chicken overnight in fridge or for at least 4 – 5 hours. Make green chutney in blender of ingredients mentioned above. Set aside. Clean, wash and soak rice in enough water for 1 – 2 hours. After 2 hours cook rice with whole spices in enough water. Once rice is 70% done drain in a sieve. Heat ghee in a heavy bottomed saucepan over medium heat and fry onions until dark brown in color. Drain in an absorbent paper and set aside. In the same vessel heat ghee once again and add marinated chicken pieces, green chutney, Garam Masala and salt. Cook chicken pieces over low heat until tender. Now for layering, arrange the cooked rice for the chicken layer. On top drizzle saffron infused milk. Seal the saucepan with tight fitting lid. Keep it on low flame for 20 – 25 minutes. Open the lid, mix all the layers nicely and serve hot with raita. 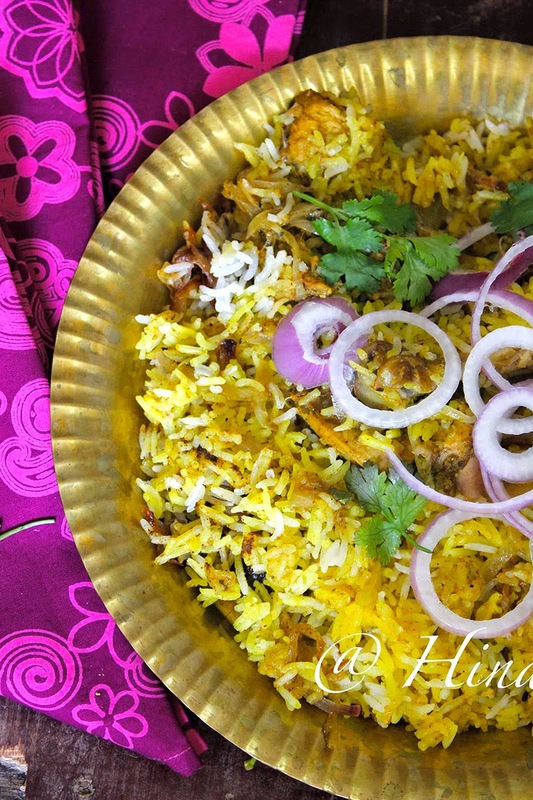 thanks for sharing this delicious chicken biryani recipe. I really love your presentation of this dish, the procedures explained very well and the pics are also nice, mouthwatering indeed. . Keep it up !! Incredible points are described here in this post.